Perfect Lighting™ is rated 3.8 out of 5 by 30. Anti-aging peptides, hydrolyzed collagen, hyaluronic acid, licorice root and green tea! AQUA/WATER/EAU, GLYCERIN, GLYCERETH-26, PROPYLENE GLYCOL, CAPRYLYL METHICONE, DIETHYLHEXYL CARBONATE, DIMETHICONE, ISOHEXADECANE, ISODODECANE, ISOSTEARYL ISOSTEARATE, NEOPENTYL GLYCOL DIHEPTANOATE, LAURYL PEG-9 POLYDIMETHYLSILOXYETHYL DIMETHICONE, ISOSTEARYL PALMITATE, POLYMETHYL METHACRYLATE, SODIUM CHLORIDE, SODIUM HYALURONATE, VEGETABLE OIL, HELIANTHUS ANNUUS (SUNFLOWER) SEED OIL, HYDROLYZED COLLAGEN, HYDROLYZED PEARL, ASCORBYL PALMITATE, NIACINAMIDE, ALOE BARBADENSIS LEAF EXTRACT, PERSEA GRATISSIMA (AVOCADO) OIL, PUNICA GRANATUM SEED OIL, TOCOPHERYL ACETATE, CHOLESTERYL CHLORIDE, CHOLESTERYL NONANOATE, CHOLESTERYL OLEYL CARBONATE, CHRYSIN, GLYCYRRHIZA GLABRA (LICORICE) ROOT EXTRACT, CAMELLIA SINENSIS LEAF EXTRACT, CHAMOMILLA RECUTITA (MATRICARIA) FLOWER EXTRACT, TOCOPHEROL, VITIS VINIFERA (GRAPE) SEED EXTRACT, MAGNESIUM ASCORBYL PHOSPHATE, SIMMONDSIA CHINENSIS (JOJOBA) SEED OIL, HYDROLYZED SILK, PANTHENOL, SILICA DIMETHYL SILYLATE, XANTHAN GUM, PROPYLENE CARBONATE, PALMITOYL OLIGOPEPTIDE, PALMITOYL TETRAPEPTIDE-7, OLEA EUROPAEA (OLIVE) LEAF EXTRACT, ORYZA SATIVA (RICE) EXTRACT, RETINYL PALMITATE, MARIS SAL/SEA SALT/SEL MARIN, N-HYDROXYSUCCINIMIDE, STEARETH-20, POLYHYDROXYSTEARIC ACID, DISTEARDIMONIUM HECTORITE, MAGNESIUM STEARATE, ETHYLHEXYLGLYCERIN, PERFLUORODECALIN, BUTYLENE GLYCOL, ALUMINA, TRIETHOXYCAPRYLYLSILANE, PEG-10 DIMETHICONE, C30-45 ALKYL CETEARYL DIMETHICONE CROSSPOLYMER, PHENOXYETHANOL, [+/-: TITANIUM DIOXIDE (CI 77891), IRON OXIDES (CI 77499, CI 77492, CI 77491)]. Apply to areas of your face that you wish to appear lifted or corrected for the look of instantly youthful skin. 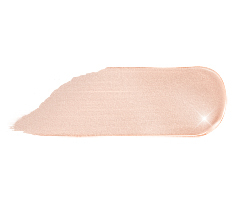 Just one click and stroke of this lightweight skin perfector helps to improve the appearance of shadows, fine lines and imperfections! Wear on bare skin or under/over your favorite foundation. When using for the first time, click the pen at least 30 times to start the flow of the product. Rated 5 out of 5 by Mimi4now from Love the coverage! I’ve been using this for a couple of weeks and love it! I’ve used the Bye Bye Under Eye Brightener and Concealer but the concealer is too thick and the brightened doesn’t have enough coverage. Perfect Lighting is just what I needed. I use it first and then highlight with a little Brightener and it hides the dark circles without being too heavy. I will use the from now on!!! Rated 2 out of 5 by Sandy 2505 from Did not work correctly The top did not fit correctly and the pump is hard to work with. This item does no work at all like my first one which I used daily. I am still working with it! Rated 2 out of 5 by belle220 from Okay product. For me, I think for what this is the price is to high. It pretty much just a concealer in a tube. I would rather just buy the concealer (which i do have and love). Not my favorite product. Rated 5 out of 5 by Lisa1963 from New Holy Grail Concealer!! This gives the most silky, satiny finish, and really conceals!! Amazing and beautiful! Please don’t ever discontinue this!! I wear the Medium Illuminator Foundation. I am older and have puffy, dark under eye circles. Which color of this product would work best for me? I feel like I need brightening! Help, need to place an order for some other products. Thanks. Hi there! Thank you for your question. Based on the information provided, we recommend the Perfect Lighting&trade; in the shade Radiant Neutral! We can't wait for you to try IT out. XOXO Tina. Whats the difference between this &amp; ByeBye Under Eye +illumination? Ive been using Bye-Bye UnderEye for 3 years religiously &amp; it works incredible to cover my dark circles/smooth lines around the eye- what does this or the concealing pot do different? I use both, and this goes on much more smoothly! Would this work with extremely OILY skin?